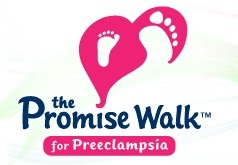 New Jersey Perinatal Associates is a proud sponsor of the 2014 Promise Walk for Preeclampsia to be held at Oak Ridge Park in Cranford, NJ on May 18, 2014 at 10:00am. Our own Dr. Ed Wolf is this year’s guest speaker. Please come out to walk with us and show your support for a great cause – May is Preeclampsia Awareness Month! You can register or donate here. We hope to see you there!